ELECTROLUX'S VAC FROM THE SEA CAMPAIGN - Hello! Welcome to my blog! I recently attended an intimate press briefing of Electrolux on their sustainability campaign. Headed to the Ayala Museum on a rainy typhoony evening. Raising the bar in sustainability, Electrolux's campaign called VAC FROM THE SEA which aims to promote the responsible production, use and disposal of plastics. The event was about educating the people and press on the karma of plastics. 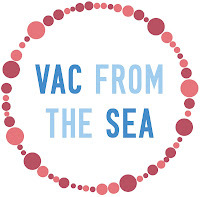 VAC FROM THE SEA is a campaign that roots from the initiative for greener living. The company aims to reform its operations and eventually its consumers to a more responsible approach in dealing with plastics. By raising awareness about the ill effects of irresponsible use and disposal of plastics, the campaign hopes to elicit a more conscious way of living among its market. With this campaign in mind, Electrolux has built 3 new Vac from the sea models as the continuation of the initiative that aims to raise awareness around ocean plastic waste and inspire consumers and industry to more recycling. Each of the vacuum cleaner represents the ocean from which the plastic originates. The vacuums embody the plastic paradox: oceans are full of plastic waste, yet on land there is a shortage of recycled plastic for producing sustainable vacs. Today, Electrolux offers Green Range vacuum cleaners with up to 70% post consumer recycled plastic. The ambition is to reach 100%. One of our host facilitating the games that revolved in recycled items. Price is Right style. Opening remarks and film viewing which i can share with you later. Then the unveiling or the VAC FROM THE SEA and the ULTRASILENCER unveiling. The bosses of Electrolux prepares and answers as they were asked by the media and fellow bloggers. Here is a quick view of the 3 new Vac from the sea models. Made from a collection of commercial fishing materials either lost or discarded at sea, the Atlantic model contains a mixture of plastic crates, ropes and packing material typically used by fishing vessels. The actual collection of these parts was done by trawling for litter in a similar manner to commercial fishing trawlers. This task was undertaken with a group based in the UK called KIMO who work to alleviate the issues of plastic in the ocean. The striking assembly of the debris on this model was pull together by Electrolux model makers in Stockholm, and helps illustrate the wide variety of debris in our oceans. The Pacific Edition concept vacuum cleaner is made up of the drifting plastic grain that fills our oceans. The plastic has been bleached by the sun and corroded by salt water. This plastic grain is dangerous because it can easily be swallowed by fish and continues through the whole food chain to both animals and humans. Red/dark objects often attract birds, fish and other sea animals since they believe the plastic is food. The plastic that is left in the sea and that washes up on beaches is usually blue, green or white. Some of the found objects were covered with barnacles and annelid worms. Other objects had traces of bite marks from sharks. The plastic gravel has been poured onto fiberglass moulds and covers the entire hood and the hub caps. By studying how small these plastic particles are one understands how hard it is to remove the plastic once it is in the oceans. It is a wake-up call and a reminder of one of the most important environmental issues today. 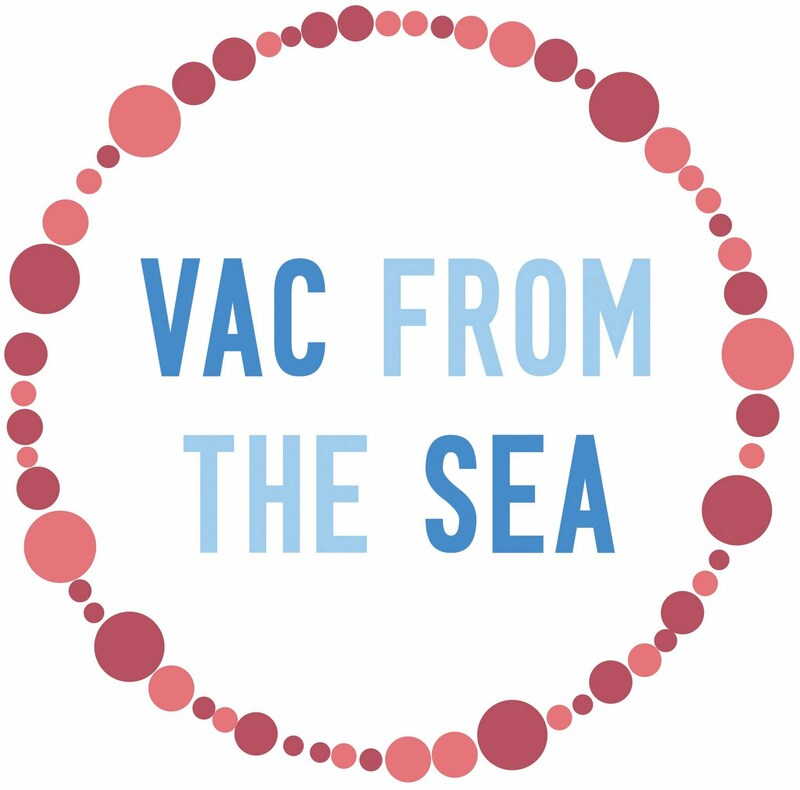 The World oceans edition of the Vac from the Sea initiative is perhaps the most unique and ambitious to be built yet. Made from a collection of nylon based fishing nets, rope and materials, the world oceans edition makes use of discarded fishing materials from oceans around the globe. The ropes were collected from a combination of beach cleaning up beaches across the world and diving to remove nets from underwater habitats (coral reefs), all done with the assistances of various organisations that are active in marine conservation. Just to make it clear, these 3 Vacs are not available for purchase, they are touring this around the globe spreading awareness and educating people of the harms that plastics cause. It has been in Stockholm, Australia, New Zealand, Malaysia, Japan to name some, and now Philippines. With that campaign, they are also introducing their newest product. Which is called the Green Vac. or should i say, the Ultrasilencer Green. What makes Ultrasilencer a green product? - Dust bags also came from recycled materials. The answer to that would be Yes, it is a little higher than other vacuums but crafting this awesome piece would be worth it. oh yes, believe me it is. Because Ultrasilencer Green is made out of recycled materials, it is only available in black. "The coloer black was chosen because it has the best looking finish and quality when using recycled materials. They say that this particular vacuum shall be available in the Philippine sea in the next 3 months. During the summer of 2010, environmental organizations around the world collected marine debris from the oceans and sent to home appliance maker Electrolux. From this plastic, unique concept vacuum cleaners -- Vacs from the Sea -- were molded. Each model is made from debris collected from a specific sea. The Vacs are now being put on display to raise awareness around the plastic issue. Share more of our thinking at www.electrolux.com.ph. For more news and updates visit: www.electrolux.com/electrolux-insiders or find us on Facebook at www.facebook.com/thelittlewhitebook . Let's do our part, This is mix signing out! slideshow of the coverage below.